The problem with films about theater is that they tend to feel theatrical. They’re less about human beings than about actors pretending to be actors pretending to be human beings. That’s a central weakness of Richard Linklater’s disappointing new period drama Me And Orson Welles, a terminally bland coming-of-age story about a pretty young man with the world’s most awesome after-school job. The featherweight trifle gives us a busy assemblage of familiar theatrical types—the womanizing actor, the vain diva with an almost preternatural grasp of how she’s being lit at any given moment, the cast cut-up, the imperious impresario, and ingénues male and female—then pitches its performances unabashedly to the rafters. Its poor players are shameless hams on and offstage, wrapped up in dramas of their own devising. Zac Efron plays a dreamy high-school student who bluffs his way into Orson Welles’ Mercury Theater, winning a role in its daring modern-dress production of Julius Caesar, which recast Shakespeare’s scheming Romans as contemporary Fascists. The life lessons begin when Efron falls for production assistant Claire Danes, a brassy career girl who broadcasts rather than hides her burning ambition. She’s going places, and will hitch her wagon to whoever can get her there quickest. Efron has yet to learn that smiling pretty is merely a component of acting, not its entirety. He makes for a supremely passive lead whose chemistry with Danes is nonexistent; he seems infinitely more enamored of his image in any reflective surface than in his ostensible love interest. 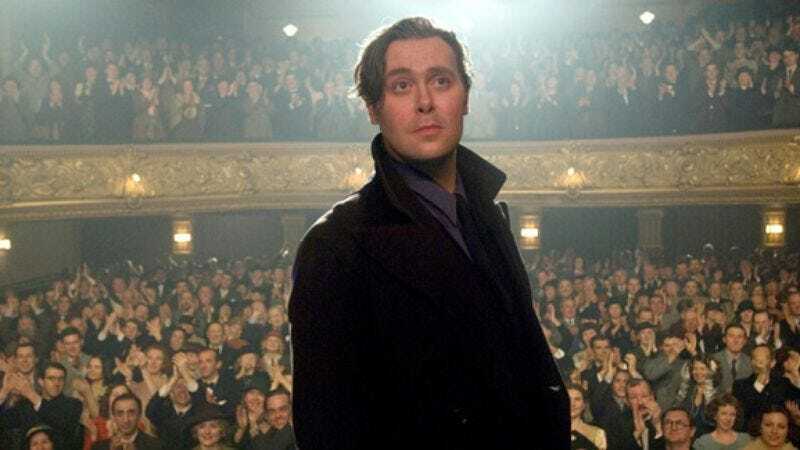 Playing an appropriately majestic Orson Welles, newcomer Christian McKay boldly fills the charisma vacuum the two leads leave. McKay is blustery, over-the-top, and wildly theatrical, but so was the man he’s portraying. Me And Orson Welles casts off the musty air of a handsomely mounted, tastefully dull HBO TV movie only when McKay takes center stage, as when he shocks and delights his fellow cast members in a mediocre radio show by incongruously inserting a lyrical passage from The Magnificent Ambersons into their hacky little drama. Me And Orson Welles belongs to that loveable show-biz subgenre about colorful kooks mounting a big production, but it’s strictly a one-man show.